Manchester City’s latest Premier League triumph lacked the drama of Sergio Aguero’s winner with virtually the last kick of the season in 2012, but the Argentine is relieved to have won the title with five games to spare. 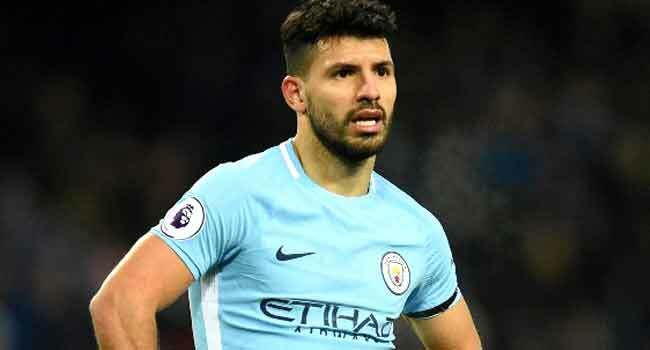 City also claimed the title on the final day of the 2013/14 season, but Aguero believes his third league winner’s medal in England is just reward for the best football he has been involved in since joining from Atletico Madrid in 2011. “This is my third title with City and it’s just a relief not to have to wait (until) the final day this time,” Aguero told City’s Twitter account. City are well on course to break the record for most points and goals, earning comparisons with the greatest ever teams in the Premier League era. “This season has been incredible and the football we’ve played has been the best I’ve been involved with while at the club. “It’s been a pleasure to play with this team and be part of everything we’ve achieved this season.